A career in medical devices spanning 29 years, including various CEO and senior leadership positions. Steve spent 10 years at Johnson & Johnson and 6 years at CR Bard, and was part of the senior leadership team at Zeltiq Aesthetics noted for ground breaking targeting of medical devices at consumers, with a successful IPO exit (and even more successful subsequent trade sale to Allergan). Also of note are two private equity backed leveraged management buyouts / company turnarounds, and a further two start-ups. John Babitt is the EY MedTech leader for the Americas and is also the Life Sciences Leader for Financial and Accounting Transaction Advisory. John has over 20 years of experience, all in the healthcare industry, and originally joined E&Y in 1995. John’s corporate clients include but not limited to: Medtronic, Johnson & Johnson (including DePuy), Fresenius, GE Healthcare and Bayer, and significant PE clients including, Apax, Warburg Pincus, Avista Capital, Linden and Altaris. Paul has over 25 years’ experience in the medical device industry, the last 20 years of which have been working with ‘start-up’ companies, where he has raised over $50 million in venture funding and $15 million from capital markets. 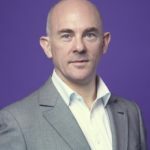 Most recently Paul was CEO of Novate Medical, overseeing the successful development of the Sentry bio-convertible IVC filter and subsequent acquisition of the company by BTG plc in September 2018. Prior to Novate, Paul was CEO of Genosis plc, where he led the IPO of the company on the AIM of the London Stock Exchange. Serge Bernasconi has more than 30 years of experience in the world of pharmaceuticals and medical devices, working in companies such as Johnson & Johnson, Schering Plough in US and Europe, and more recently Medtronic. In his capacity as President & International Regional Vice President of Medtronic France, he was elected President of APIDIM (The French Association for the Promotion of Innovation in Medical Devices), and Vice President and Treasurer of SNITEM (French Medical Technology Industry Association). Mr. Bigois started his career in 1997 in London at Wasserstein Perella then moved to the EMEA Healthcare banking groups of Credit Suisse and then Citi. He also worked as Chief Financial Officer of the US / France based specialty addiction disease biotechnology Company DrugAbuse Sciences. Mr. Bigois maintains an extensive and, global network of relationships and routinely executes advisory assignments with the western as well as selected emerging markets players. Dr. Binur is a managing partner of Orchestra and has over 29 years of venture capital experience in the United States, Europe and Israel. He is co-founder of Accelerated Technologies, Inc. and served as its Chairman of the Board since its inception. He was founding Managing Partner of Medica and while there helped raise its first two venture funds and is a pioneer in the field of interventional pulmonology. Angela has over 20 years of regulatory affairs and quality assurance experience with various products in the medical device industry specializing in international regulatory affairs working with universities, start-up and blue chip companies. Her expertise reflects her ability to successfully navigate country specific requirements by providing strategic global regulatory strategies and submissions bringing new and existing products to the marketplace outside the US, as well as the US. She is experienced in transitional regulatory activities to handle the ever-changing global regulatory environment. Angela has a comprehensive knowledge of the regulations for the preparation and writing required for global medical device submissions. Additionally, her expertise in quality assurance provides quality management system alignment as additional geographic regions are incorporated. Barbara Castellano has been Principal in Panakes SGR since 2016. She has worked for more than 20 years in the MedTech field, particularly in the Cardiovascular segment, holding positions in Senior Management with worldwide responsibilities in multinational corporations (Sorin-Livanova, CID- Alvimedica). Prior to Panakes, she had set up a company consulting firm (Techwald SpA) obtaining significant venture capital funding for client companies. Dr Lifei Cheng is the Founder & CEO of MedTecX, a global medtech accelerator based in China. MedTecX creates solutions centered around major diseases with unmet needs. MedTecX partners with global innovators to accelerate product development, market access and therapy adoption in China. Lifei Cheng had extensive experience in medtech and pharmaceutical industries, across R&D, business development, venture investments and start-ups. Most recently, Lifei was the Vice President of Business Development at Medtronic China and managed Medtronic-Sequoia China ventures fund. Chris Cleary is Vice President of Corporate Development for Medtronic. During 2014, Chris led the corporate development efforts for Medtronic’s $43B acquisition of Covidien. Since then, Medtronic has acquired over 30 businesses for more than $3 billion, and made more than 20 investments in companies and funds in excess of $170 million. Prior to 2014, Chris was CEO of Alesia Capital Services, and worked at GE Capital from 1995 to 2011, leading M&A teams that closed acquisitions worth $60 billion of financial assets across more than 200 transactions. Nick Dunster is an Investment Manager for the European Investment Fund, making and monitoring fund of fund equity investments under the Life Science unit and prior to this worked in Technology Transfer. Before working at the EIF, Nick was at the Wellcome Trust, a UK biomedical foundation, making direct investments at the seed and early stage in the healthcare sector. He holds a degree and PhD in Bioscience. Arthur Franken joined Gilde in 2001. He is focusing on venture and growth capital investments in the biopharm, medtech, diagnostics and digital health sectors. He represents Gilde on the boards of Breath Therapeutics, Calypso, Levicept, Moximed and Symphogen and served as a board member for FlowCardia, MTM Laboratories, ProQR Therapeutics and STAT-Dx until the trade sales or IPO. Prior to joining Gilde he was active in cardiovascular research at the Leiden/Amsterdam Center for Drug Research and TNO. He holds a master’s degree in Biopharmaceutical Sciences from Leiden University, the Netherlands. Claudio Giuliano is a player in the venture capital industry since year 2000. Claudio co-founded in 2007 Innogest Capital, a Venture Capital firm with about € 200 Mln under management, and a partner in the Healthcare and Cardiovascular practice at Innogest. Prior to Innogest, Claudio was Associate Director at The Carlyle Group (London), Strategy consultant at Bain & Co (Italy), and Supply Chain Manager at Hewlett-Packard (California and France). Townsend Goddard is currently leading a commercial organization across the EMEA region delivering above market growth in five surgical business units. Additionally, he is the executive sponsor for Olympus’ business development efforts in the region. Prior to joining Olympus, he held international leadership positions at both Covidien and Stryker. Janelle has over 12 years’ healthcare experience working in private investments, scaling ventures, and management consulting. She has spent a large part of her career at GE Healthcare, in the US and Europe, working with both private and public health organizations. Janelle’s entrepreneurial endeavors include launching a population health technology platform that became a joint venture between GE and Microsoft. Janelle has an MBA from the University of British Columbia and a Bachelor of Commerce degree (B.Com) from McGill University. Paul Grand is MedTech Innovator’s CEO. He founded and has managed MedTech Innovator as a program within RCT Ventures for the past four years. In 2016, with the financial support of RCT and other sponsors, Paul left to run MedTech Innovator as a stand-alone company. He has spent the last 11 years as Managing Director for RCT Ventures, the investment arm of Research Corporation Technologies, Inc.
James Greene is a serial entrepreneur and has founded and served as CEO for four medical device start-ups and currently serves as a member of the Wallace Coulter Oversight committee where he participates in the translation of innovative technologies from the Georgia Institute of Technology and Emory University, Atlanta, Georgia into successful new commercial ventures. 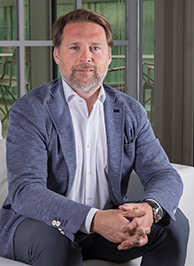 Hunt Henrie joined Locust Walk as a Managing Director in 2017, and has spent the last 15 years at Ferghana Partners where he started and led the Medical Technology and Financing activities. 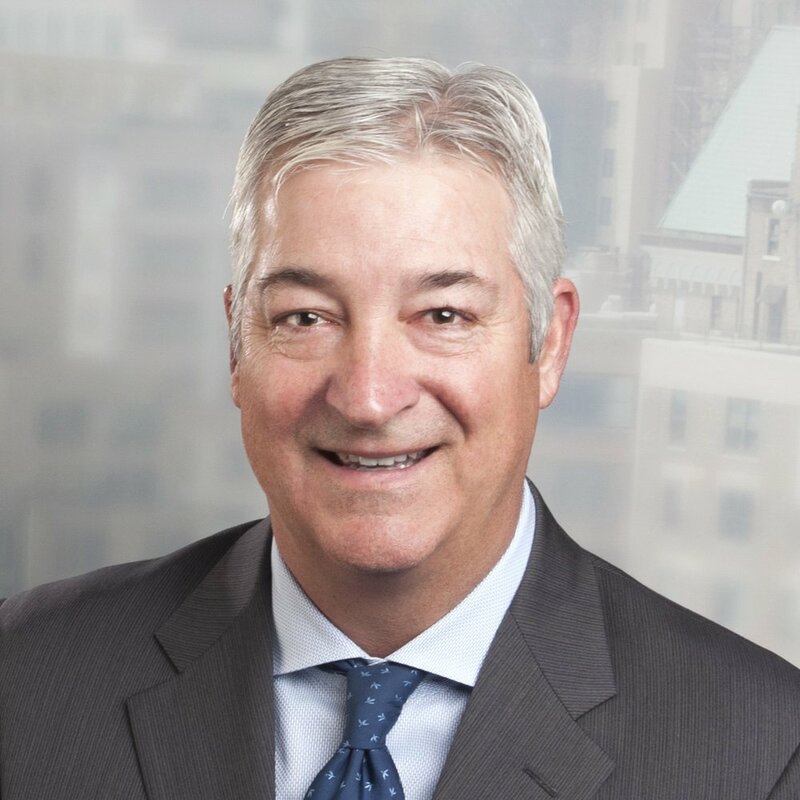 Hunt brings to Locust Walk over 30 years of broad-based global financial, investment banking, private equity and corporate operating experience, of which the last 26 have been in healthcare. He has lived and worked overseas for 15 years including over six years in Paris and London. Scott Huennekens was the former President & CEO at Verb Surgical. Mr. Huennekens served as the CEO of Volcano Corporation from April 2002 to February 2015. Prior to taking over the leadership of Volcano Therapeutics Inc, he served as CEO of Digirad Corporation. He has over 25 years of experience in the medical device, technology and diagnostics sectors, including over 15 as the Chief Executive Officer. He is a Certified Public Accountant and received an M.B.A. from the Harvard Business School and a B.S. in Business Administration from the University of Southern California. Hamid Lamraoui serves as CEO and chairman of the board at UroMems, a company he co-cofounded in 2011, and specialized in the development of active implantable medical devices in Urology. Hamid has lead the development of the company since its inception, resulting in many innovation awards, 2 Seed Round fund raisings and a €12M Series A fund raising. Hamid obtained an Engineering degree (Aix-Marseille University, France) in 2007 and a PhD degree (Grenoble University, France) in 2010 in the field of biomedical engineering. He received the IEEE EMBS National PhD Thesis Award in 2010, and holds 8 patents. A veteran in the field of biomedical engineering and cardiology and one of the original developers of RenalGuard Therapy®, Dr. Levin brings more than 35 years of clinical and commercial healthcare experience to his role. Dr. Levin’s inventions and co-inventions have helped launch multiple products and companies in the cardiology, renal and respiratory fields. He is also president, chief scientific officer and co-founder of Coridea, LLC, a medical device incubator that translates ideas into new therapeutic options for patients. Josh Makower has dedicated his career to the creation of medical technologies that improve quality of life for patients. He is the founder of ExploraMed Development, LLC, a medical device incubator based on the West Coast. He is also a general partner with New Enterprise Associates (NEA), where he leads investing activity in the medical device and health technology arena. He holds over 300 patents and patent applications for medical devices in the fields of orthopedics, ENT, cardiology, general surgery, drug delivery, women’s health, and urology. He earned an MBA from Columbia University, an MD from the New York University School of Medicine, an SB in mechanical engineering from MIT and is a Member of the College of Fellows of The American Institute for Medical and Biological Engineering. President & CEO, CBSET, Inc.
Peter Markham is a well known and accomplished executive with 25 years of management and regulatory experience in the field of GLP contract research. Prior to joining CBSET, Mr. Markham served as General Manager of the Worcester/Southbridge division of Charles River Laboratories where he had P&L responsibility for a multi-disciplinary pre-clinical business unit which serviced the Toxicology, Pharmacology, Surgery, Metabolism, Pharmacokinetics, and Bioanalytical Chemistry markets. Jennifer McMahon is a Principal at the European VC, Seroba Life Sciences, having joined the investment team as an Analyst in 2011. She is based in Seroba’s Dublin office and is involved in both medtech and biotech deal origination and investing. She sits on the board of directors of Endotronix and is a board observer of Atlantic Therapeutics. 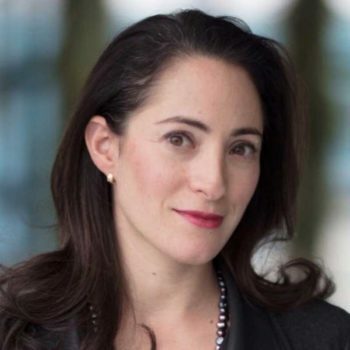 She was previously on the board of directors of Biosensia, prior to it merging with Kypha Diagnostics in 2018. She is a Dublin-hub Ambassador of the Sandbox network, a global community for ‘exceptional innovators’. In 2019, Jennifer joined the Advisory Board for the European Healthcare Businesswomen’s Association. She guest-lectures on venture capital at University College Dublin, Trinity College Dublin and the Royal College of Surgeons, Ireland. As Vice President of Business Development and a member of the Medical Devices Group Operating Committee, Susan has responsibility for licensing, acquisitions and divestitures for the Medical Devices Group. Susan joined J&J as a college recruit in the Finance organization. During her tenure in the Corporation, she transitioned through a number of positions with increasing responsibility through six operating companies, primarily within Finance and Business Development. Susan has been involved in a number of significant transactions within Medical Devices. Daniel O’Mahony is a Partner at Seroba Life Sciences and brings a wealth of experience in product development, strategic planning, licensing, corporate venturing, intellectual property management and commercialisation. Dr O'Mahony currently sits on the board of Atlantic Therapeutics, MedLumics, Novate Medical and PQ Bypass. He previously sat on the boards of Apica Cardiovascular (acquired by Thoratec), Covagen (acquired by Cilag/Janssen Pharmaceutical Companies of the Johnson & Johnson Group), Stokes Bio (acquired by Life Technologies), Straatum (acquired by Lam Research Corporation). John is a Partner in the Firm's Corporate Law Department. His practice areas are mergers and acquisitions law, venture capital, capital markets, company and Partnership law. His mergers and acquisitions experience covers both public and private companies. In the area of venture capital, he has advised on the establishment and marketing of venture capital funds, relationships between the general partner and limited Partners, investment by venture capital funds into Irish and other businesses and he has advised Irish companies on the raising of venture capital finance. Antoine Papiernik is a Managing Partner at Sofinnova Partners, which he joined in 1997. Antoine has been an initial investor and active board member in public companies like Actelion, ProQR, NovusPharma (then sold to CTI), Movetis (then sold to Shire), Mainstay, Pixium Vision and Stentys, which went public respectively on the Zürich stock exchange, the NASDAQ, the Milan Nuovo Mercato, the Belgium Stock Exchange, the Dublin Stock Exchange and EuroNext Paris, in Cotherix (sold to Actelion), CoreValve (sold to Medtronic), Fovea (sold to Sanofi Aventis) and Ethical Oncology Science (EOS, sold to Clovis Oncology). Mr. Pensaert is the founder and CEO/CIO of Valiance, bringing over 20 years’ experience in growth investing. He leads the Investment Committee for the Valiance funds and is responsible for all aspects of the funds’ investment process. 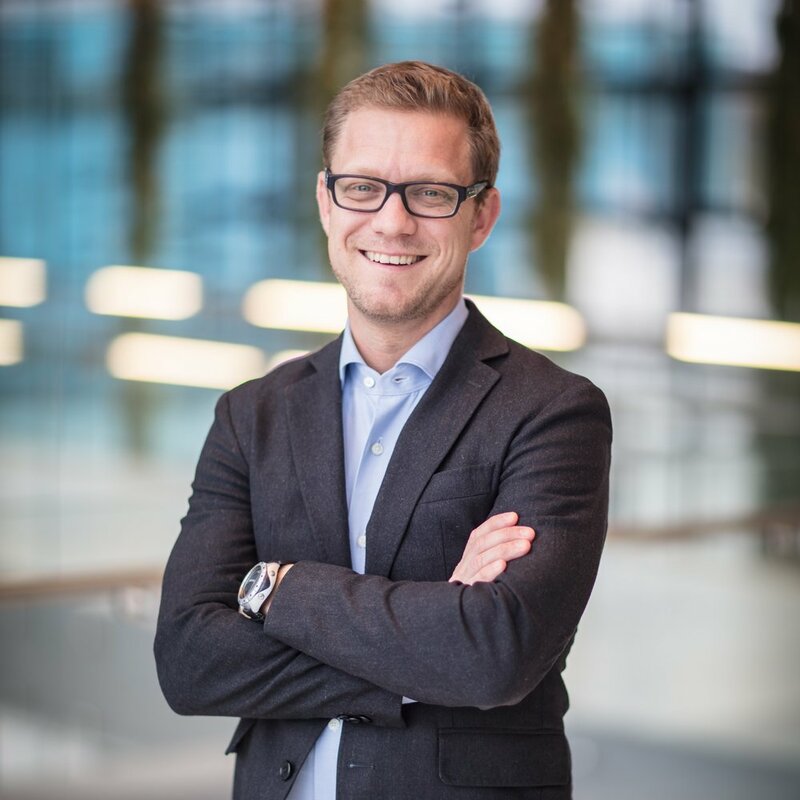 Mr. Pensaert is a Director of several Valiance entities and funds, as well as a Director of Myoscience, MDxHealth, JenaValve, 4Tech and MyCartis. He holds a BA in Business Economics from the Economics University in Gent, Belgium, and a Masters in Banking & Finance from the University of Aix-Marseille. Dr. Martin Pfister studied biopharmacology at the University of Greifswald and New York University, and earned a doctorate in immunology at the University of Leipzig. Prior to joining High-Tech Grunderfonds Management, Pfister served as Managing Director of the Saxony State Ministry of the Economy and Labour’s coordination office for biotechnology & pharmaceuticals. Anne Portwich, PhD, has been with LSP since 2001. 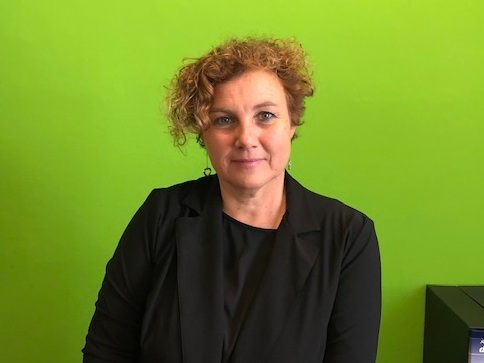 She is a Partner in LSP’s Amsterdam office. Her prime focus and responsibility within LSP is to invest in unlisted securities. Over the years, she has been responsible for investments in numerous portfolio companies of LSP. She also played an essential role in raising LSP Health Economics Fund 2 in 2017, the largest European fund dedicated to medical technology with a fund size of EUR 280 million. Stan Rabinovich joined Edwards Lifesciences in 2004 when Edwards acquired Percutaneous Valve Technologies, Inc. (PVT) of which he was co-founder, Executive Vice President and COO. PVT has pioneered the development of transcatheter heart valves. Prior to PVT, Stan was Corporate Director of Business Development for Datascope Corp.
Thom Rasche has been a partner at Earlybird Venture since 2007 where he focuses on the healthcare technology sector. Mr. Rasche joined Earlybird Venture Capital GmbH & Co as a Venture Partner in 2003. Since he joined Earlybird, he has been responsible for the medical device portfolio and for making new investments in this area. Manus is a PhD chemist who worked in product development at GSK in the UK before moving over to a series of licensing and business development roles at Elan. He moved to the US in the early 2000’s and joined Aidan in the corporate VC group before returning to Ireland to establish Fountain. In addition to his investing role, Manus leads investor relations and fund raising activities for the Fund. Martin Rothman is Vice President of Medical Affairs for coronary, structural heart and renal denervation for Medtronic. Dr. Rothman previously practiced during 37 years in the U.K. as an interventional cardiologist, including 27 years at the London Chest Hospital (Barts and the London NHS Trust. He is world-renowned for his contributions to clinical research, training and education, and medical technology innovation in cardiovascular medicine. Dr. Rowland has led the company's operations, strategy, and technology development since inception. His professional interests are at the intersection of transformative technologies and emerging business opportunities. He has been active in research and development of micro and nanotechnology fabrication methods for 15 years, including invited research and Sandia National Laboratories, New Mexico and Trinity College, Ireland. He is an inventor on 10 issued patents and several pending applications. Josep Sanfeliu focuses on medtech investments and on structuring transactions. Josep serves on the board of MedLumics, Dermalumics,CVRx , Corwave, Anaconda Biomed, Babyscripts and Xeltis. Josep has over 15 years of experience in law, corporate finance and business development in connection with entrepreneurs and with intellectual property related companies. Alex is a Partner at Endeavour Vision, investing in medical technology and digital health companies across multiple therapeutic areas. Alex brings more than two decades of business and strategy experience in both medical device and high-technology companies. He currently represents Endeavour Vision on the boards of EndoStim, Nuvaira, Relievant, VentureMed, and VertiFlex, and serves as a board observer at Gynesonics. He is a member of the steering committee for PCR Innovators’ Day and serves as both a jury member and expert panelist for the Healthtech Summit. Prior to joining the Endeavour Vision team, Alex spent nine years with Biosensors International Group, an interventional cardiology company, where he served as vice president of business development. He previously worked with LogiSpring Ventures, MicroStrategy and McKinsey & Co.
Mark is a Managing Director within BTIG’s Healthcare Investment Banking Group, and leads their banking effort in medical devices, life science tools and diagnostics. Since joining BTIG in 2016, he has helped 30 growth stage companies raise approximately $2 billion of capital. He has over 25 years of investment banking experience, most recently as a Managing Director and Head of Medical Devices M&A within the Healthcare Investment Banking Group at Stifel. Prior to Stifel, he served in a number of senior roles at Cowen between 1998 and 2010, including Head of Medical Technology M&A and Chairman of the Fairness Opinion Review Committee. 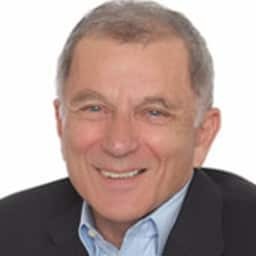 Ari Silverman is a Partner at Mavie Technologies where he bridges Western Medical technology companies to access the Chinese market, capital and talent by providing investment advisory and consulting services for cross-border transactions. He has over 15 years global life sciences experience, including 11 years in China, and is now based in Europe. Prior to Mavie Technologies, Ari was a partner and leader in McKinsey’s China/Asia Healthcare Practice based in Shanghai, where he worked with leading multinational healthcare manufacturers to build their China and Asia businesses for growth and scale. Dr. Strohmenger is a Partner at Wellington and responsible for the Life Science portfolio. During his more than 20 years in venture capital, he has been responsible for financing over 20 portfolio companies, 6 of which were taken public, and 8 companies with successful exits. Dr. Strohmenger has also done research work in the fields of cardiovascular physiology and health economics. He holds a Doctor of Medicine and a Master of Economics degree from Ludwig-Maximilians-University, Munich (Germany), and was trained at the Entrepreneurship Center of MIT, Boston (USA). Accomplished and seasoned leader with more than 25 years of medical device and healthcare experience. Proven track record of leading, developing and executing on commercialization strategies and driving market development initiatives to deliver profitable growth. Previously was the President of the Medical Systems Group at Olympus, President of Orthopedics at Smith & Nephew, and Vice President at Boston Scientific.